I came across this pretty cool Photoshop halftones tutorial that was created by TeeFury. Many people are put off halftones because they appear to be pretty complex but as you will see in this video, halftones can be fairly simple to create when you know how. Watch and learn. The designer clearly has done this a few times as he flies through the tutorial giving two examples of how to convert layers to halftones. But I think it would be easy to experiment with the settings to find a style that you like. Check out TeeFury past and present t-shirts on the Shirt List or visit their store. TeeFury is the pioneer of daily t-shirt stores and some would say they are still the best (I would). They also have a pretty decently sized store with with t-shirts for sale for more than one day. 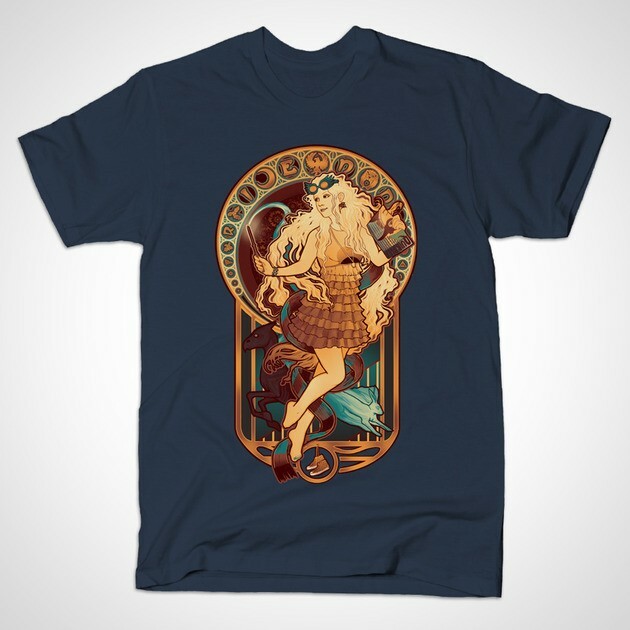 If you are interested in this particular design by Megan Lara on a shirt you can still get it at TeeFury for $18. If you are too late, check out JUST AS SANE AS I AM T-Shirt on the Shirt List for other options or use the comment form and I will help you find it. What do you think of this PhotoShop halftones tutoria? Let us know in the comments.